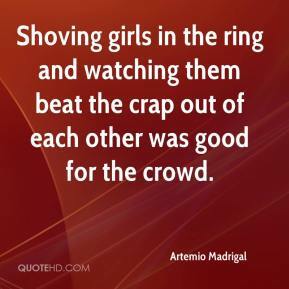 Shoving girls in the ring and watching them beat the crap out of each other was good for the crowd. 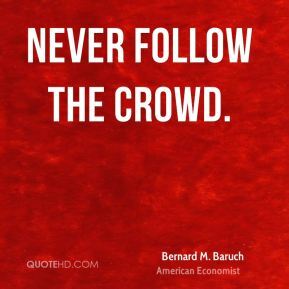 Get away from the crowd when you can. 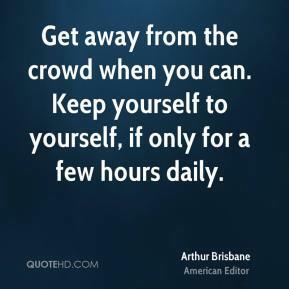 Keep yourself to yourself, if only for a few hours daily. 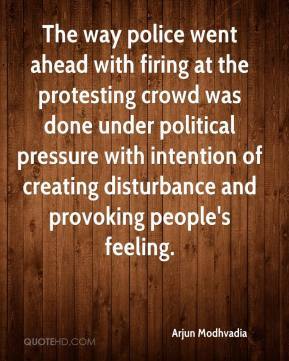 The way police went ahead with firing at the protesting crowd was done under political pressure with intention of creating disturbance and provoking people's feeling. 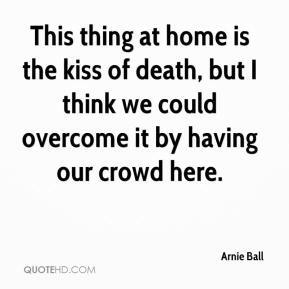 This thing at home is the kiss of death, but I think we could overcome it by having our crowd here. 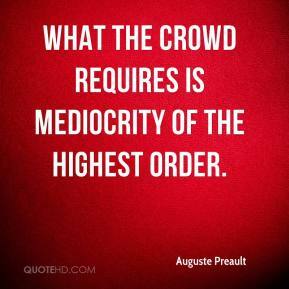 What the crowd requires is mediocrity of the highest order. 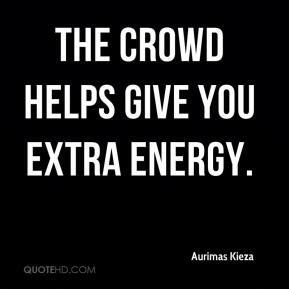 The crowd helps give you extra energy. The crowd was unbelievable. 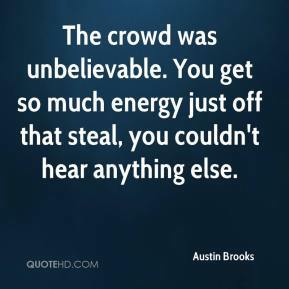 You get so much energy just off that steal, you couldn't hear anything else. 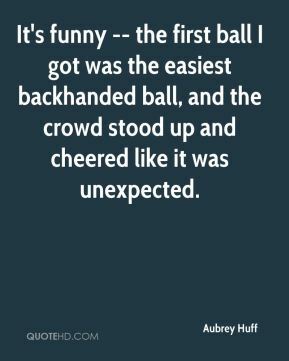 It's funny -- the first ball I got was the easiest backhanded ball, and the crowd stood up and cheered like it was unexpected. 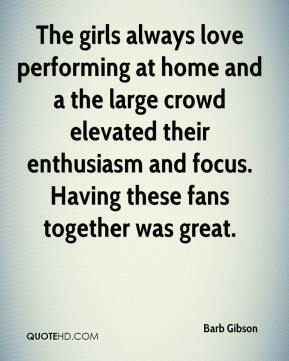 The girls always love performing at home and a the large crowd elevated their enthusiasm and focus. Having these fans together was great. 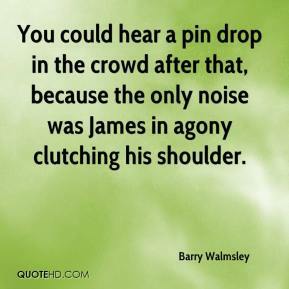 You could hear a pin drop in the crowd after that, because the only noise was James in agony clutching his shoulder. 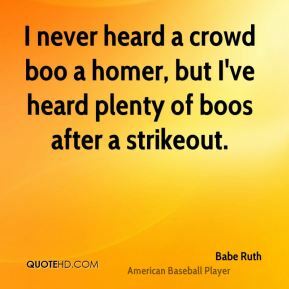 I never heard a crowd boo a homer, but I've heard plenty of boos after a strikeout. 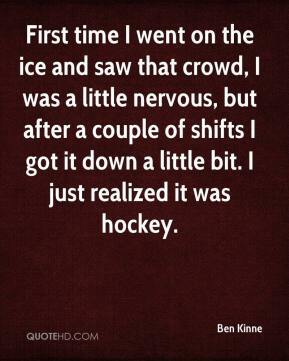 First time I went on the ice and saw that crowd, I was a little nervous, but after a couple of shifts I got it down a little bit. I just realized it was hockey. I was pretty much a dork growing up. Going up in front of a crowd and being an idiot was a relief when I was a kid. But talking to two or three people at once and being myself was impossible. And being myself while singing a song was more than impossible; I would've rather died. 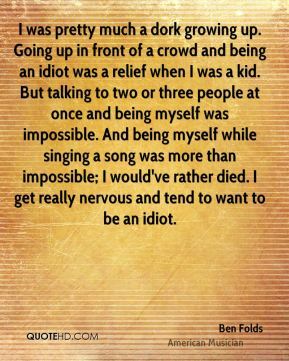 I get really nervous and tend to want to be an idiot. 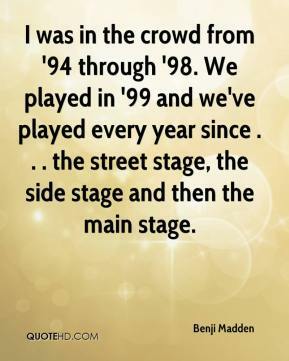 I was in the crowd from '94 through '98. We played in '99 and we've played every year since . . . the street stage, the side stage and then the main stage. 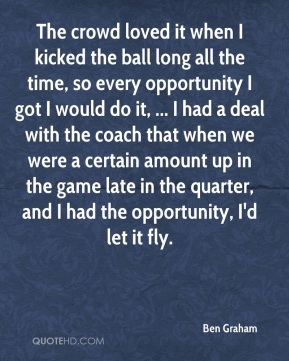 The crowd loved it when I kicked the ball long all the time, so every opportunity I got I would do it, ... I had a deal with the coach that when we were a certain amount up in the game late in the quarter, and I had the opportunity, I'd let it fly. 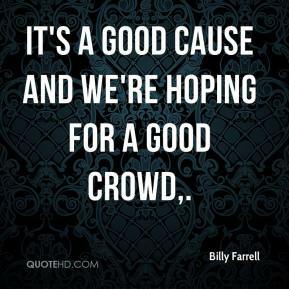 It's a good cause and we're hoping for a good crowd. 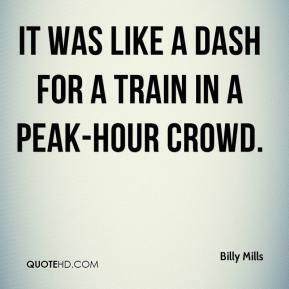 It was like a dash for a train in a peak-hour crowd. I know he likes messing around with the crowd. 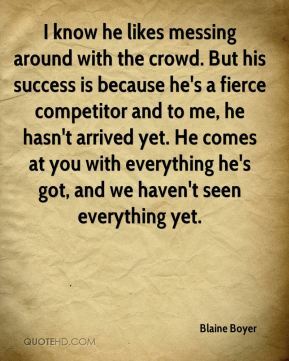 But his success is because he's a fierce competitor and to me, he hasn't arrived yet. He comes at you with everything he's got, and we haven't seen everything yet. I was out to destroy the audience. I wanted to destroy 'em, just make the toughest dude in the crowd pat his foot. 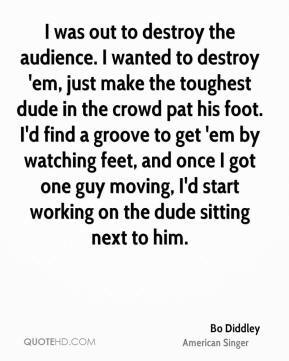 I'd find a groove to get 'em by watching feet, and once I got one guy moving, I'd start working on the dude sitting next to him. That is amazing. ... People have the same script but are interpreting it differently. 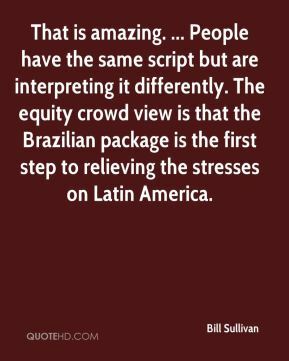 The equity crowd view is that the Brazilian package is the first step to relieving the stresses on Latin America. 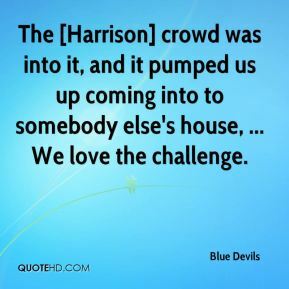 The [Harrison] crowd was into it, and it pumped us up coming into to somebody else's house, ... We love the challenge. 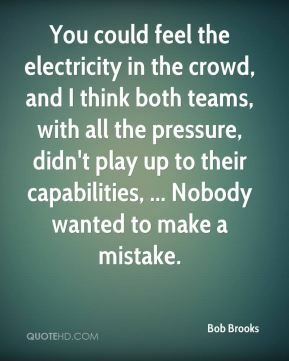 You could feel the electricity in the crowd, and I think both teams, with all the pressure, didn't play up to their capabilities, ... Nobody wanted to make a mistake. This is another meet that provides a big crowd and a good chance to do well. 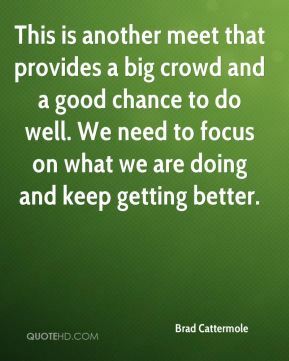 We need to focus on what we are doing and keep getting better. Duke really had a fantastic crowd and made it tough for us to get a win on the road. 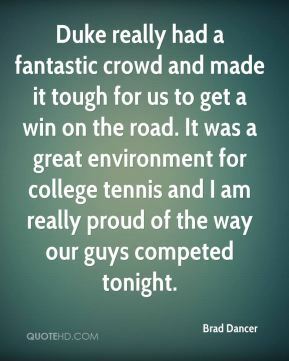 It was a great environment for college tennis and I am really proud of the way our guys competed tonight.